Enjoy British Airways! The only airline I had issues with in my entire life (oneviolin destroyed on a flight from New York to London. Damage $30,000). 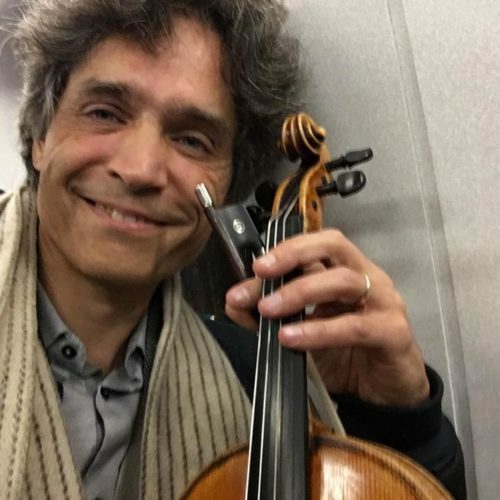 To give justice, later they allowed me to put the violin in its case because there is, of course, space in the cabin on this fully booked flight. Always speak to the captain or to the crew. They are usually more likely to listen than those kids at the gate who must follow instructions from the superiors. So, even if the kids at the gate tell “you can’t speak to the captain, check it in or you can’t fly”. Even if they tell you that they are the bosses. If they insist that there is none superior, kindly remind them that after all they are just employees and you want to speak to the superiors. There is no such situation where you have no right to speak to the superiors. And remember, the worst nightmare of an employee is loosing the job they obviously do not enjoy. – Read the airline’s policy on transporting musical instruments very carefully. – Do exactly as it states. – Be mentally prepared to pay an extra seat. – If you choose to disregard any of the above, be mentally prepared for extreme stress. @Dmitry: You must buy a seat for your Viola da Spalla or Violoncello da Spalla (I don’t know the difference!). Anyways, since they really don’t exist in books and you hold the patent obviously Airlines don’t have any policy for such instrument (Yes, I have spent a good amount of time to look for shoulder mount cellos and didn’t find a reliable source). Thanks for publishing this advice! My trumpet case is the legal size for all overhead bins, but I have not been immune to scrutiny from airport employees (particularly at CDG and Orly). If there is any question, I will insist as you say. I once had a problem with Vueling that led me to do something similar to you, but not without a fair amount of shouting. Here’s an even better tip: fly Emirates. Haven’t been able to fault them after 3 round-the-world trips. any proof this actually happened?